There’s a group of idiots out there. Most of us know who they are. They’re known as Westboro Baptist. They protest everything. They first got their bad rap because they protested the funerals of fallen soldiers. Seems like a great idea right? Let’s protest the people who fight for the right for us to protest. Now, it seems they protest everything. They’d probably protest Jesus if He was walking on the earth today. Between their protesting of funerals and LGBT rallies and events, they’ve become pretty disliked amongst a lot of groups of people. They probably argue that Christians aren’t supposed to be liked. They probably think they’re being persecuted for their faith. The reality is, they’re being persecuted for being idiots. But, that’s not really the reason I’m writing this post. I’m writing this post out of a bit of frustration. The reason I’m frustrated is that I, as a Christ follower and Bible believer often get lumped into the same category as the Westboro Bigots. And it’s unfair. And inaccurate. 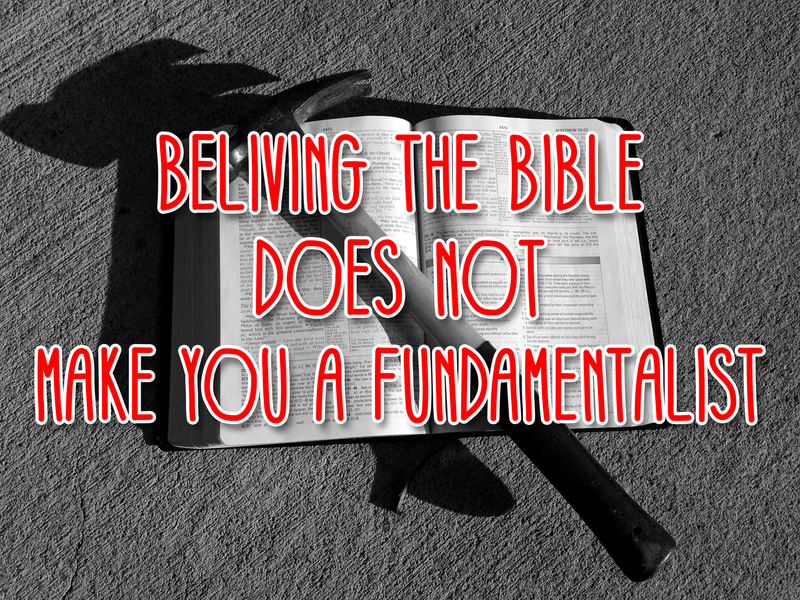 The fact that I believe in the Bible does not make me a fundamentalist. It does not mean I want to thump those who don’t agree with me over the head with my bible. It doesn’t mean I want to protest Gay pride parades and shout hate speech. But, too often, those of us who believe what the Bible ACTUALLY says are lumped into the category with those who distort its message. Do I disagree with those who say I must condone beliefs and practices that are counter to what the Bible teaches? Yes. Do I hate them? No. Will I treat those I disagree with in an ungodly and unChristlike fashion? No. In fact, I will do my best to love those who disagree with me as Christ would love them. I may fall short from time to time, just as I fall short at loving those with whom I agree. But, will do my best to love. So, to lump me in with haters just isn’t fair. Because of this practice, we have silenced the voices of those who probably understand best what the Bible teaches. And so, those would approach the conversation with love are left in this weird middle place. We don’t agree with the radical Westboro idiots. But, neither do we agree with those who say we must compromise on what the Bible teaches. I can believe the Bible without being a fundamentalist. In fact, I tend to think there are a lot of problems with fundamentalism. I think there are problems with any view of Christianity that minimizes loving your neighbor to elevate proving your stance. We cannot form doctrine in response to cultural pressures. We should seek to discover what the Bible says when we are presented with cultural issues, but our aim should seek to discover the truth of God’s word not to react to what we think is wrong because the voices of culture around us are so loud. We should have a passion to know God that drives us to discover every possible way we can apply His truth to our lives and our world. And we must be lovers of God and his word so that we can rightfully form a belief system that represents the entirety of God’s thought. Our desire for perfectly logical systems cannot trump what the Bible says and doesn’t say. We cannot approach the Bible to find proof for our way of thinking. We cannot approach the Bible to prove our theoLOGICAL system is the right one. If the bible contradicts our theology, our theology must change. My hope and aim is to start being a voice of humility, honesty and authenticity in this dialog. And I hope more of us will find the courage to add our voice to this discussion and others like it. Just because we disagree does not mean we are released from our command to love. And a word to my fellow, non-fundamentalist, Bible believing Christian brothers and sisters. We must first be known by our love. This is how the world will know that we follow Christ, by our love for one another. There is no room for us to begin with hatred and slander. It’s just not an option. Let your life prove wrong those who claim we are haters simply because we disagree. But, we must learn to bring a much needed voice of reason to these crucial conversations. Especially when they are happening within the church. To be silent is not an option. 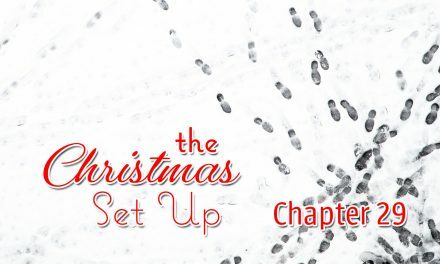 But if we approach our disagreements with humility, honesty and authenticity, we will be able to be a part of the crucial conversations that are going to shape the next generation of Christianity.